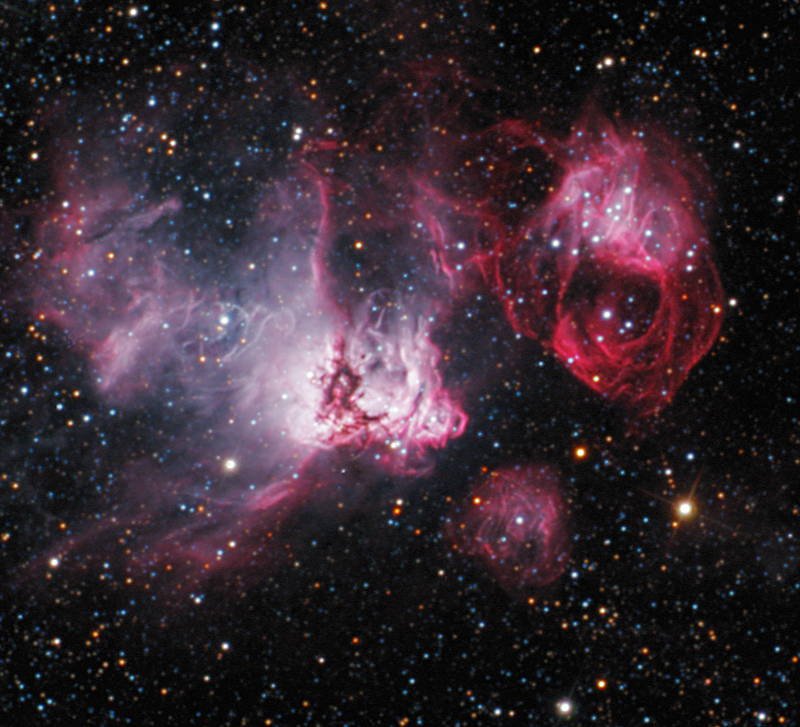 NGC2035 is an unusually shaped emssion nebula in DOR in the LMC. It is at the southern boundary of the supershell LMC4. This image is 12x15 min exposures with an Astrodon 6nm H-a filter and 30 min of each R,G,B color in the Apogee U47 CCD with a back-thinned 47-10 detector at -20C. North is up and the field is ~10x10 arcminutes. 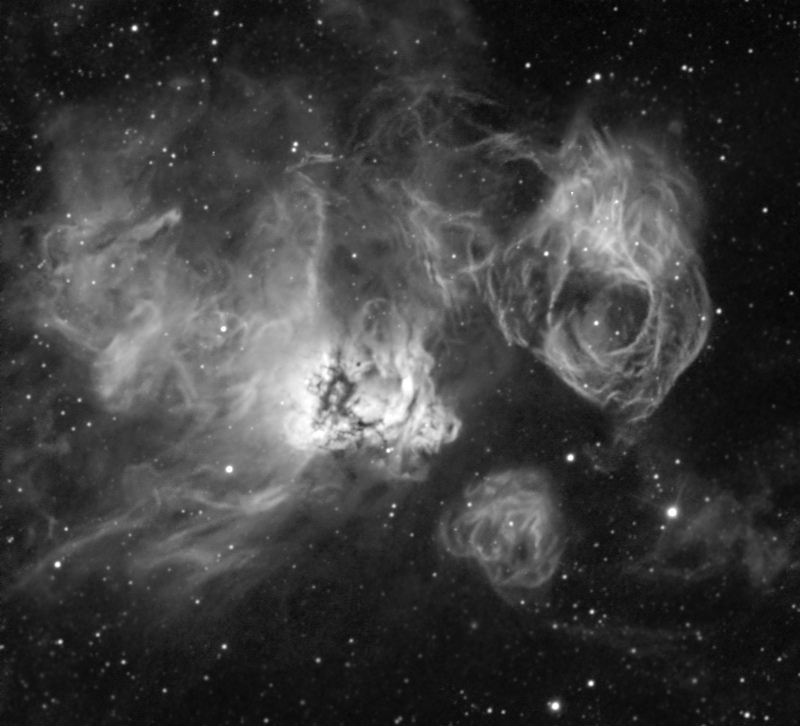 NGC2035 (N59A) is the bright nebula in the center of the image. NGC2032 is the nebula in our colored image just to the left of the dark lane. The circular object in the upper right of our colored image is N59B, and the object near the bottom is N59C. The entire complex was named N59 by Henize. The structure of the circular N59B is likely to be due to a supernova remnant due to the detection of soft X-Rays and a relatively young age of no more than 10,000 years (Rosado et al., Astron. Astrophys., 329, 631-638 (1998). This main object (NGC2035, N59A) is incorrectly labeled as The Seagull Nebula in Software Bisque’s TheSky V6. Image is from SSRO-South (Daniel Verschatse, Rick Gilbert, Jack Harvey, Don Goldman) at PROMPT2 (UNC, Prof. Dan Riechart) at Cerro Tololo, Chile. ~7500′. Measured seeing was ~1.7".